What if the best Cricketer from your national team go missing ,before the final match and the match is between two rival nations? The 120 minutes film entirely shot in the Middle East,with characters introduced at the right moment building the curiosity of how they go about to complete the mission of finding their most important player of the team with just 36 hours in hand. 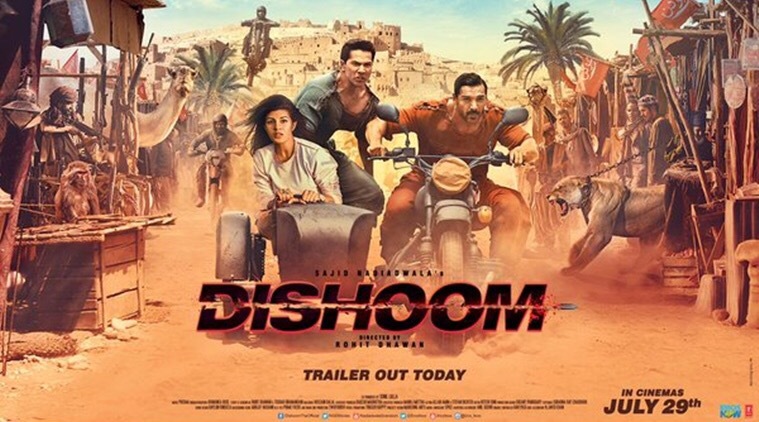 The movie keeps the audience interested with chase sequences and locations like the Yas Marina Circut,Ferrari theme park etc Makes you want more of it.But,the film just keeps it right. The star cast John Abraham & Varun Dhawan are a great pair. Just like the John Abraham & Akshay kumar from Desi Boyz. The actress Jacqueline Fernandez too has a considerable important role to play in the film. Akshay Khanna’s comeback too makes you wonder what kept him out of action for so long. Oh! The highlight of the film is a guest appearance by Akshay Kumar. The title track will soon catch up after the audiences watch the film,but “sau Tarah Ke “has done the trick to get the audience humming the song through out, till they leave the auditorium.This is surely a value for money movie for the audiences who like speed,action and a well compiled story without a single minute of boredom .great direction by Rohit Dhawan.